The U.S. 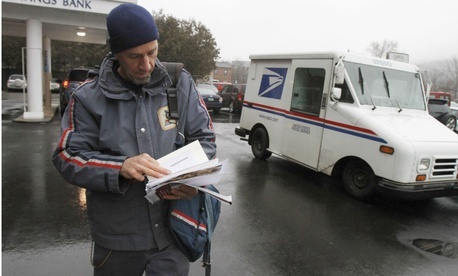 Postal Service is allowing salaried supervisors to conduct work set aside for union employees, according to a new report, forcing the agency to waste millions of dollars annually on unnecessary payments. An agreement between the American Postal Workers Union and USPS in 2014 that settled a 40-year dispute between labor and management capped the number of hours a postmaster or supervisor at certain post offices can spend performing work typically reserved for bargaining unit employees at 15 per week. When the management workers surpass that threshold, the Postal Service is forced to pay the corresponding hourly wages to a clerk picked out by the union. Even if that employee was on leave or would therefore be collecting overtime, USPS must make the payment. Individual clerks earned up to nearly $32,000 in hourly pay they did not work, the IG found. The payments occurred in more than 90 percent of Postal Service districts. The inspector general gave postal management some credit for reducing the overages; supervisors spent 65 percent fewer hours doing bargaining unit work from Oct. 1, 2015 to March 1, 2016. USPS took issue with that suggestion, saying the agency has worked since the days after the APWU agreement to develop processes to ensure supervisors and postmasters stayed within the agreed upon threshold. The IG disagreed, saying management’s initial communication efforts were ineffective and it must monitor staffing, workhours and payments to reduce unnecessary payments. To that end, the IG recommended the Postal Service fill vacancies so managers are not required to do clerk work and provide clearer guidance to its field network. Even when the supervisors cross the threshold, USPS can in some cases avoid the payments to unionized clerks if it is determined the work was conducted during an emergency -- a provision the IG said USPS has ignored.